Why You Need This Part: Why does it seem like these things are always missing? 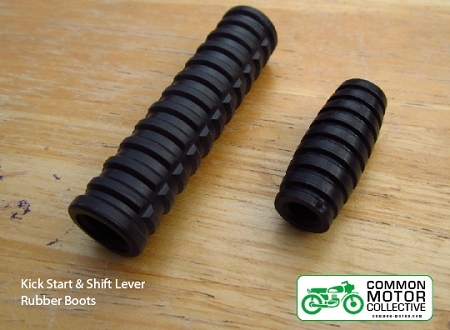 Just about every CB350, CB360, or CB450 we come across is short one or even both of these rubbers. 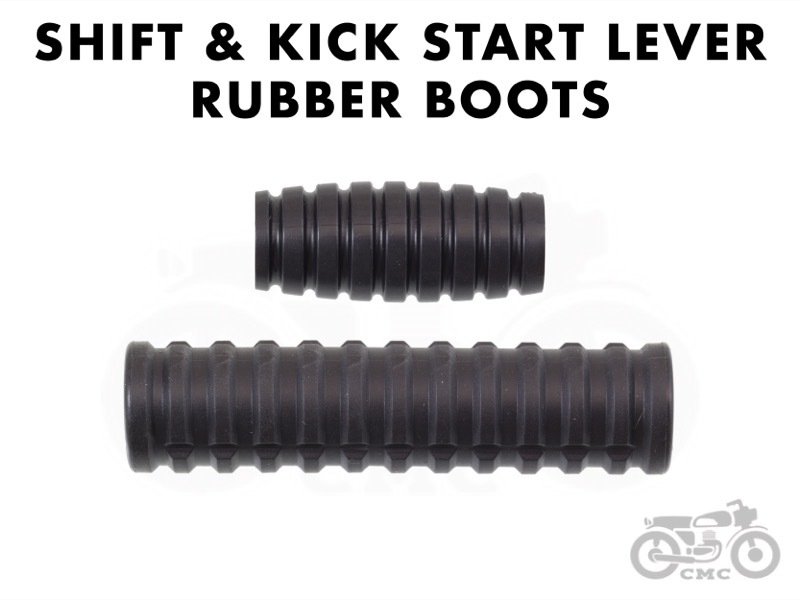 Make your feet (and your shins) happy with a fresh pair of rubbers for your shift & kick start levers. OEM quality made in Japan. Sold as a pair. Installation Tip: Use a small squirt of brake cleaner to ease installation, it works fast and dries quick. Better than oem quality! 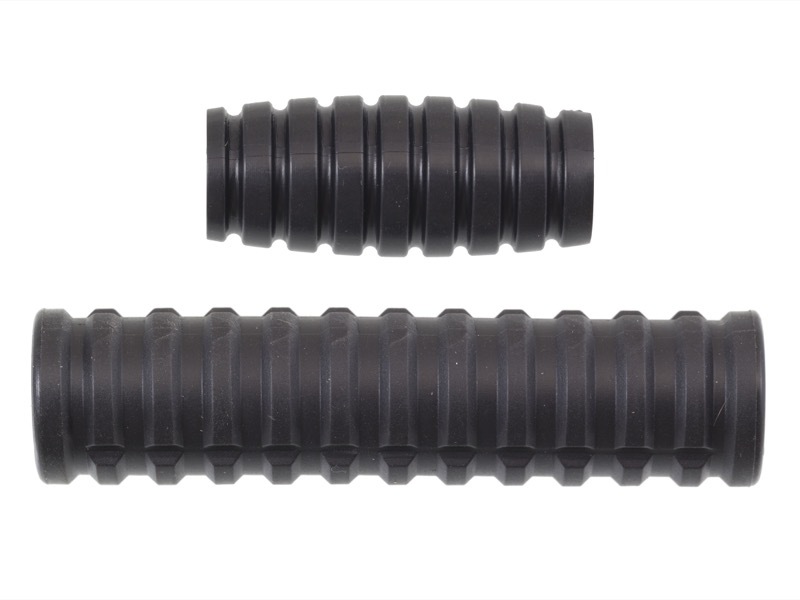 Nice pliable rubber. Well formed. Nice finishing touch to a resto project. A very good and quick trade. I can recommend this company. The parts fits. Perfect fit as I expected. Good product and good price.